When trouble-shooting problems with your editing system, there are several steps you should do before contacting Apple tech support. I suggest doing them in this order, and testing your application after each step to see if it is working properly. NOTE: I’ve written extensively about trouble-shooting for all versions of Final Cut Pro. For detailed trouble-shooting suggestions, read this article. This tends to fix problems with the Spinning Beach-ball of Death. After logging in as an administrator (and you may see the words “Safe Boot” displayed on the screen when you do), open Disk Utility, which is stored in the Utilities folder. On the left side, select the indented name of your boot disk. 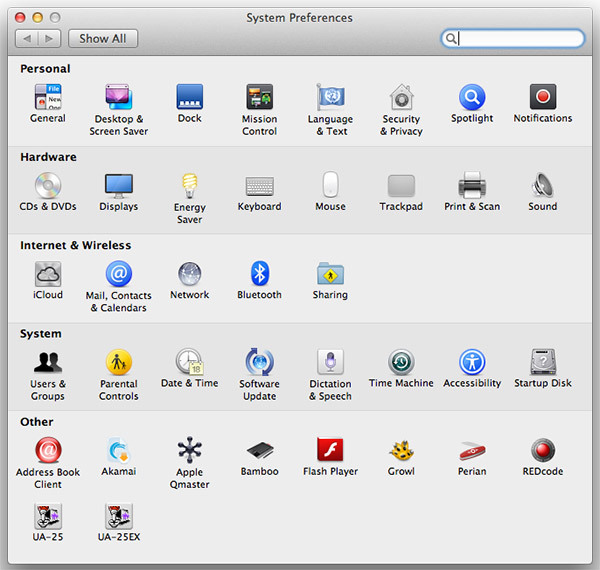 On most systems it is called “Macintosh HD,” then either click Repair Permissions on the lower right side of the screen, or First Aid in the top icon bar. This process can take anywhere from five to twenty minutes. Again, don’t panic. When permission repair is done, quit Disk Utility, then restart your computer without holding any keys down. NOTE: It is a good practice to do this Safe Boot procedure once a week. This resets application preferences to their factory-default settings. I only recommend doing this for editing applications. I don’t have enough experience with all other apps to recommend this as a general procedure. To trash preference files for any Adobe application, quit the app, then relaunch it from the Dock while pressing both Shift and Option keys until the application finishes booting. This resets all preferences to their default settings and erases the list of recently accessed files. NOTE: This does NOT affect any of your data, media, or sequences. This simply resets the program to its original, default settings. Resetting Final Cut Pro is a bit trickier, depending upon the version you are running. Final Cut Pro X. Click here and refer to the section on Trashing Preferences. Final Cut Pro 7 and earlier. Click here and refer to the section on Trashing Preferences. Just as preference files configure your editing application, they also affect the operating system. Sometimes, trashing preferences for an application isn’t enough, you may need to reset the entire OS. 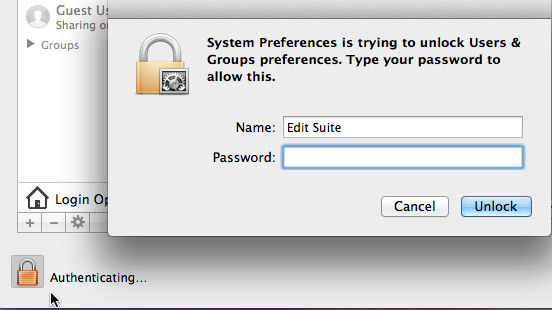 In the System section, open the Users & Groups icon to open that window. Click the lock in the lower left corner and enter a administrator’s user name and password. This allows you to modify the settings in this window. Click the Plus button to create a new user. 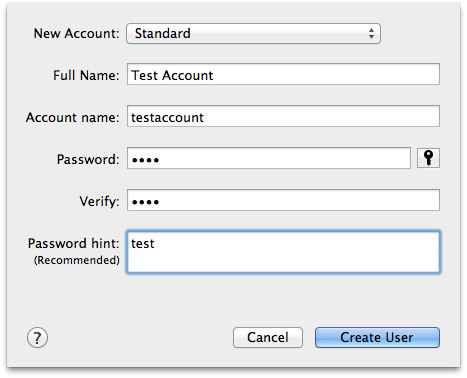 Create a test account with a user name and password. (Feel free to use the settings you see here, you can use any User name you like.) Then click Create User. Back in the Users & Groups window, be SURE to check: “Allow user to administer this computer“. Close System Preferences to save your changes. If all these procedures don’t fix the problem, then its time to reinstall the application. How that is done varies by software and version. However, reinstalling the application does not reset preference files, which is why we did that first in an earlier step. Having system problems is a HUGE frustration. I hope these steps will get you up and running in no time. I definitely will bookmark this as a favorite. Great info. You have saved me more headaches than you can imagine. I was getting a spinning beach ball for each edit I made in a 1hr program. Still cant understand why Apple can’t produce an upgrade that does not cause all the crazy problems we get with this thing. I never had these kinds of problems with FCP7. What gives with these guys. I’m new FCX user and ploughed through (in a good way!) all you tutorials and sat down yesterday to start editing and was unpleasantly surprised that neither of my portable external drives were visible. After a half hour of poking around on Google (another great troubleshooting source!) I discovered that I had never reformatted my external drives to Mac OS Extended (Journaled). To me a bit to move data around and then I reformatted. YES! Now my drives are visible. Hey, Larry, thanks again for all your great work that helps get our work done! OK I’ve read through everything, tried everything and I am obviously missing something. When I launch FCE it loads and cranks away loading whatever it loads and gets to right where a it would open into its work environment and it just shuts off. There is no dialog. Live Type works just fine. I know there is a 4.01 upgrade and worry this might be the problem. I may have it on a drive in Japan, but seems it has disappeared from the wild, Apple Support has gotten to be very unsupportive of late. When I tried your safeboot and launched it said I needed 64 mb and had zero, but I have an Intel HD Graphics 3000 with 384mb, so guessing that was a safeboot thing. Aslo I have gone through both libraries when I ninstalled the program, but must have missed something because when I reinstall and launch I get the program showing my name and serial number, so whatever holds THAT did not get thrown out. I am open to any ideas. I cannot upgrade you system because of a Garageband-plugin issue. But if worse come to worse, I do have a second partition for 10.10.2 but it is small. Hope I have given you enough information to hve you suggest something. Yes new user, same thing. FCP 4.0 is an OLD! version. I think it came out when OS X 10.3 was current. I don’t remember any installation issues with 4.00 – and you won’t be able to update to 4.01 until 4.0 is installed. Safe Boot is a repair operation – you need to install software AFTER exiting Safe Boot. And I don’t recall it ever saying it needed RAM – that’s an error message that is not part of the Safe Boot process. I also don’t recognize the phrase “I’ve gone through both libraries.” Libraries are not something we use with FCP 4. FCP 4 will absolutely NOT work in any OS later than 10.7 – so don’t upgrade your system at all if you plan to use FCP 4. I’m currently having issues with FCP 10.1.4. My current project freezes during the rendering process. It won’t even allow me to cancel the background tasks (it says 100% in the box, but states 0% on the time code box). I have tried many of the suggestions above, and also tried copying the event & project from my external hard drive to another computer with FCP 10.1.4 installed, and the issue still exists. After talking with another person, they suggested deleting some of the files I added (yesterday afternoon – FCP worked fine), and it began working momentarily then reverted back. I would appreciate any advice that you may have. Thanks! The short answer is: if it worked yesterday and doesn’t work today – and you trashed FCP X preferences – then you most likely have bad media. See if you can get rid of what you did, or edit it into a different project to test it. Also, keep in mind the FCP X has an internal limit of about 3,000 clips per library. If you exceed that limit things may get flakey as well. Just to add one more: use option-command-P-R to test NVRAM. Further: (this was a tip from you that I use all the time ) whenever FCP X has a problem – slow or strange behaviour – it is usually something to do with the font caches. In that case it is enough to restart in Safe Mode, login your account and restart. No need to reset permissions. Your articles and videos have saved me so much time and frustration. This article among them. I was wondering whether my faithful Mac Pro of 8 years was on its last legs, but with your advice, reborn! Well written, and produced advice. Thank you for sharing the trove of knowledge you have. Thanks for writing! I’m happy to help.